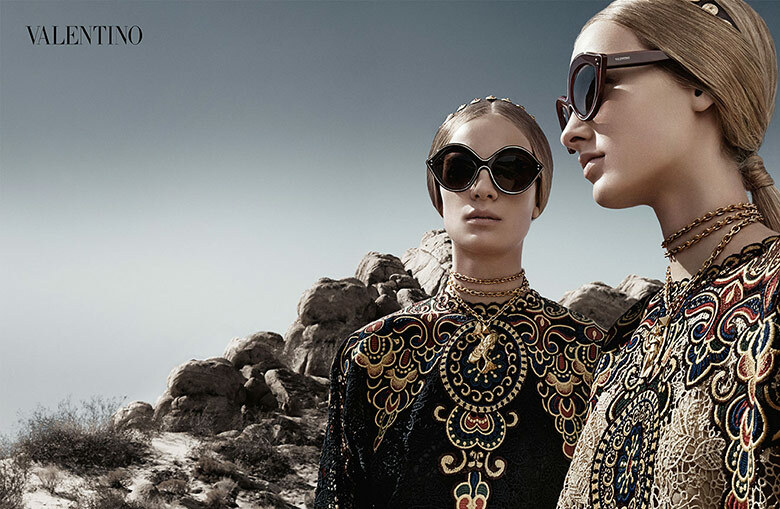 Outlandish extravagancy in the name of Valentino is presented by photographer Craig McDean’s work for the Italian fashion house’ Spring/Summer 2014 campaign. Malaika Firth, Auguste Abeliunaite, Esther Heesch, Ine Neefs and Maartje Verhoef are all captured in a deserted surrounding while graced with the beauty of Valentino. Creative prints, embroidery and chunky jewelry are combined to achieve the luxurious exotic feel that lingers over the S/S 2014 collection. The brand’s new faces are embodying the powerful goddess like poses among the sun kissed ground stating that Valentino is the key brand for the summer to come.